The Tory government has broken Britain’s housing market. Average house prices in Reading are over £300,000 and average monthly rent is upwards of £1,000. The Tories have also severely restricted the ability of local councils to build new homes. This has led to an unsustainable situation, resulting in homelessness rates rising nationally and a generation being locked out of home owner-ship and forced to rent privately at exorbitant rates. 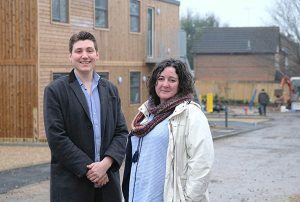 Reading, the Labour-run Council has, in spite of Tory Government restrictions, have begun to build new Council homes for our community. 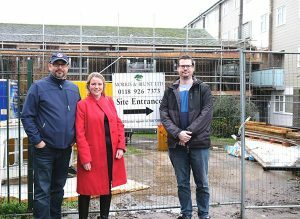 57 new homes are under construction at Conwy Close in the west of the town while 28 new modular homes have been built at Lowfield Road to help directly tackle the rise in homelessness and get families out of temporary bed and breakfast accommodation. Existing Council properties, such as those on the Hexham Estate, have also been refurbished to en-sure that residents continue to have secure, comfortable homes. Innovative initiatives like the Homes4Reading company, set up by the Council to improve private sector housing provision, show the dedication and imagination of Labour to work for the good of all residents despite the challenges imposed by national government.